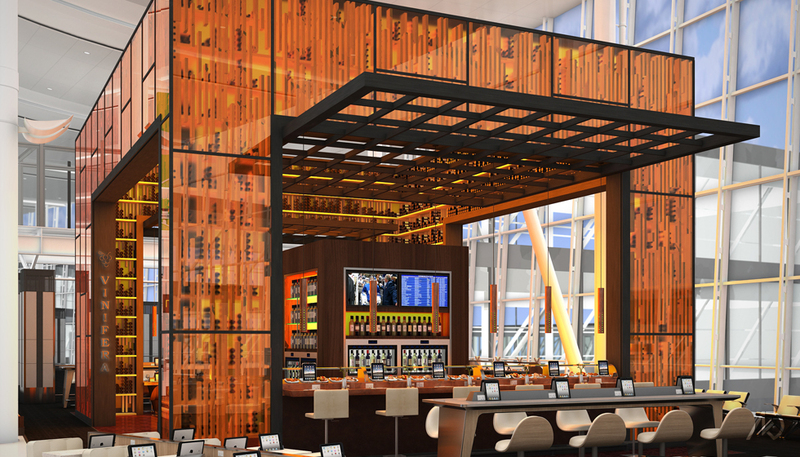 The following images show Vinifera, a wine bar/restaurant located off the main concourse in terminal one of Toronto International Airport. 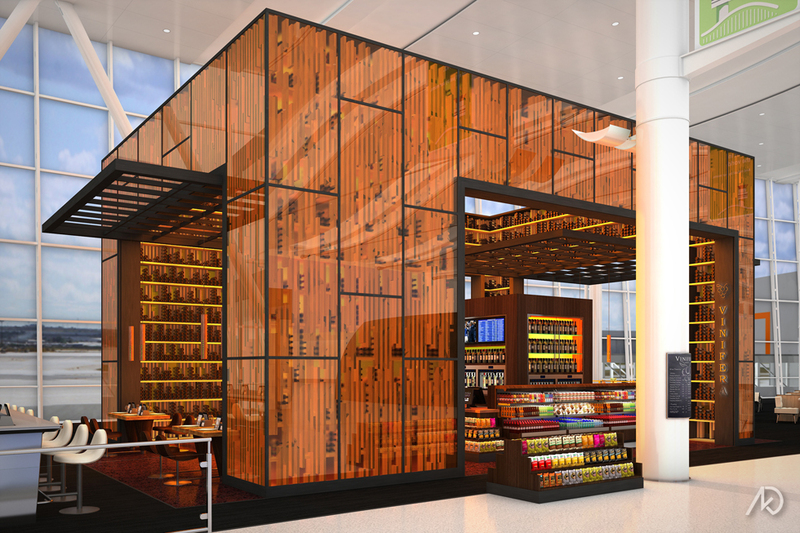 The design is a very large orange glass box which doubles as large wine storage walls. The thick walls are basically a shelving system with a random slat pattern and an orange tinted glazing. Most of the wine storage is decorative as it fills the wall/shelving structure. The center of the structure contains the bar, back bar, wine storage, and enomatics. 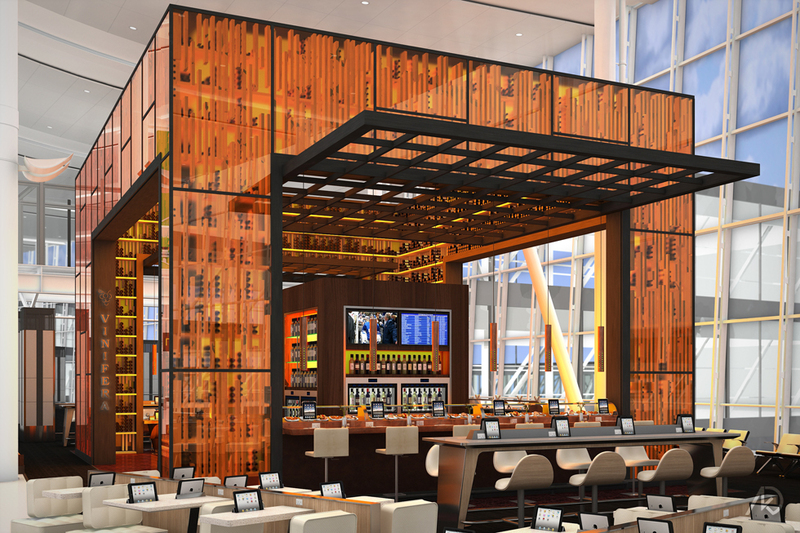 The two metal trellis structures form canopies above bar seating while providing decorative pendant lighting.